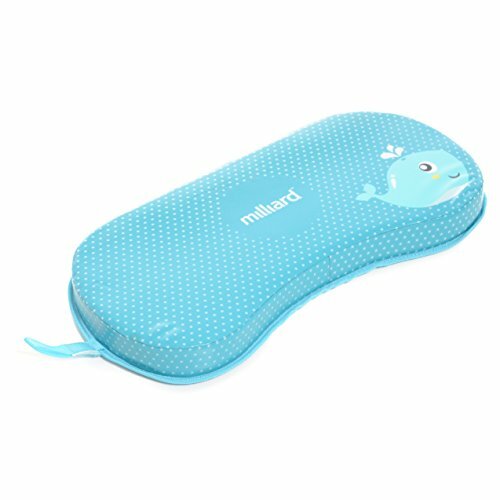 Portable comfort pad provides comfort on the go! Lightweight, water-resistant chair pad features 2 layers of memory foam for soft support while kneeling or sitting. Perfect for travel, gardening, outdoor events or just relaxing in your favorite chair. 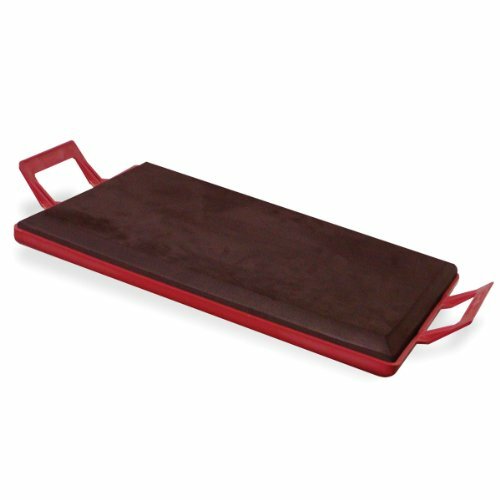 Kneeling pad includes built-in handle for easy carrying. 19 1/2L x 12W x 2H. 40% PU foam/30% EVA foam/26% neoprene/4% nylon. Spot clean with cold water; hang to dry; do not bleach. EXTRA Thick Large Kneeling Pad The Thick Kneeling Pad with thickness of 1-1/2 inches. Material: Non-toxic, non-recycle High Density foam EVA material. Dimensions: 18 x 11 x 1-½ INCH Features: * Ideal size of kneeling pad---The Kneeling pad is large enough for your knees, and thick enough to protect your knees on tough ground. * Durable and Comfortable--- high density material makes it durable and soft. 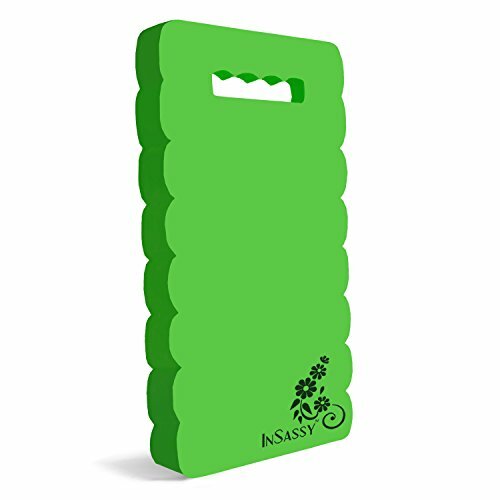 * Portable & Easy to Clean----The Kneeling pad is large but lightweight, the handle design makes it easy to carry, waterproof surface makes it easy to clean, and dries quickly. * Multiple Function ----Garden kneeler for gardening, bath kneeler for baby bath, kneeling pad for work, kneeling mat for exercise, yoga, fitness, pilates, sports and much more. * 12 months Warranty. TIPS : The smell can be eliminated in the open air for 2-3 days. Mother's day gift present for mom. Foam Knee Seat Cushions Set Of 4 Protect Your Knees Use At School, Home, Gardening Sport Events And More Color Shipped Randomly! This set measures 7 X 15" and comes in 4 assorted colors. Protect your knees while working in the garden, with children at school. 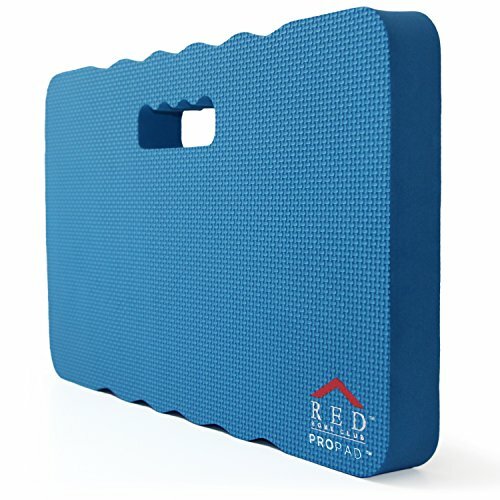 Lightweight, soft & durable foam rubber cushions for protecting knees or seat thickness puts comfort between you and floor, ground, concrete or other surfaces. Set of four 7" x 15" pads, randomly selected from colors: green, yellow, orange & pink, black. COLORS SHIPPED RANDOMLY. Great for child or adult - gardening, car repair projects, school, sporting events. 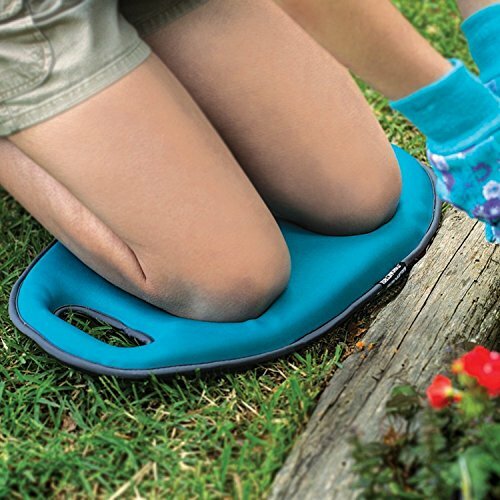 Save your knees when you are gardening, unclogging a drain or making home repairs with the Buffalo Tools Cushioned Kneeling Board. Make laying carpet and tile, finishing concrete, making auto repairs, and plumbing projects easier on your knees. The large 19-inch by 13.5-inch kneeling pad is 1-inch think, providing lots of room and plenty of cushioning for you to get comfortable, keep your balance, and help keep your knees from aching and locking-up. The Cushioned Kneeling Board a can be hosed off and washed down when it gets dirty, so don't be afraid to get down in the mud and dirt. 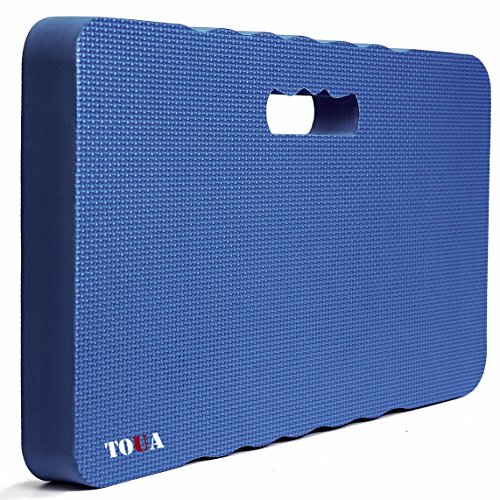 Kneeling Pad - 2 Foam Layers How many times did you try to find the knee pad that would protect your knees perfectly? Your search for the best Kneeling Pad is over! 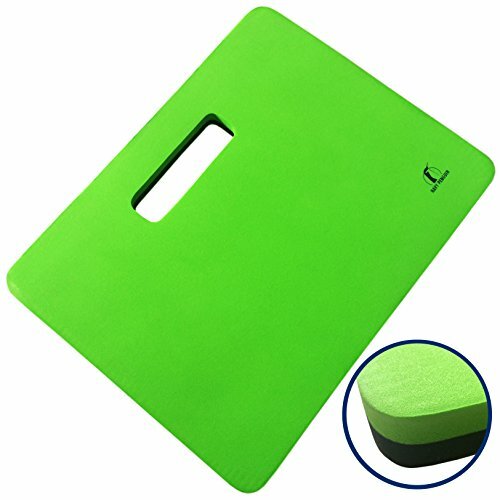 With the Kneeling Pad by Navy Penguin you get the following: ✔ 2 foam layers - each with different density - durable EVA foam 38-40 degrees density (Black side) and elastic EVA foam 15-20 degrees density (Green side). ✔ Extra thickness - premium 1 inch thickness brings perfect protection for your knees from rough and sharp elements. ✔ Multifunctionality - perfect construction for gardening, baby bathing, floor scrubbing and other household jobs. ✔ Perfect size - exact dimensions of the kneeler cushion are 16.8 x 12.9 x 1". ✔ Washable - moisture resistant technology makes the mat easy to wash with soap and warm water. Navy Penguin - Lifetime Guarantee If you for any reason are not happy with any product by the Navy Penguin, please do not hesitate to contact us and we will do our best to solve your problem asap! At The Navy Penguin we take full ownership and responsibility for the quality of our products. Click the Add to Cart Button at the Top of this Page to Protect Your Knees Now! 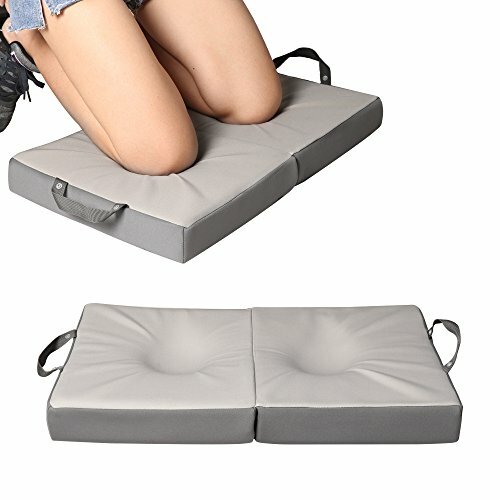 Looking for more Kneeling Cushion similar ideas? Try to explore these searches: Hdtv Home Theater, Vinyl Colorado Flooring, and Cricket Ceramic Brush. Look at latest related video about Kneeling Cushion. Shopwizion.com is the smartest way for online shopping: compare prices of leading online shops for best deals around the web. Don't miss TOP Kneeling Cushion deals, updated daily.